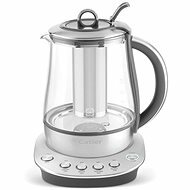 Glass kettles are notable for their elegance, quality materials, and great functionality. Glass is a versatile design material that can complement any home and fits virtually anywhere. 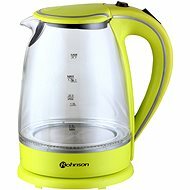 The modern look is often complemented by elegant colour backlighting, which activates when you turn on the kettle. 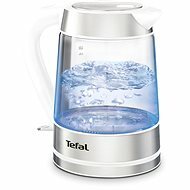 On the downside, glass kettles tend to require more care and descaling can be a rather delicate affair. 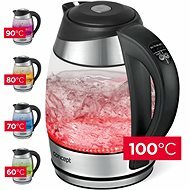 How do I choose a glass kettle? 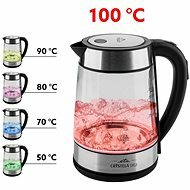 Do you know how to choose the kettle capacity? Everything depends on how often you use the kettle and how much water you heat. 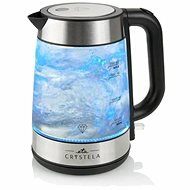 If you live in a two-person household and receive guests only rarely, a 1 l kettle should be enough. 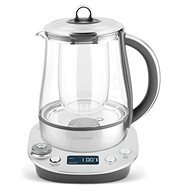 For households with three or more people, choose a kettle with a capacity of 1.5 l or larger. 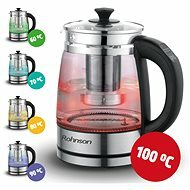 One litre of water is enough to make 4-5 cups of your favourite drink. Wattage determines power consumption. 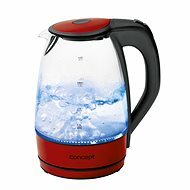 Generally, the higher the power consumption, the faster the water is heated. 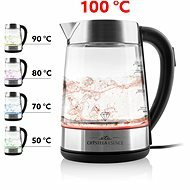 For glass kettles, their power consumption generally ranges between 1 600 W to 3000 W. Unless you want a very basic model, choose a kettle with a power consumption of at least 2000 W.
Don’t boil more water than you really need. 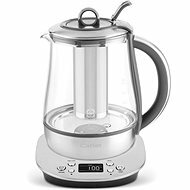 Boling a larger amount of water takes longer and the kettle consumes more electricity. 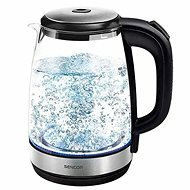 Concealed - the great advantage of these is that they don’t accumulate limescale. 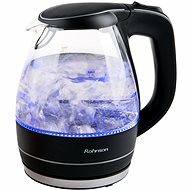 However, heating up water may take a little longer. 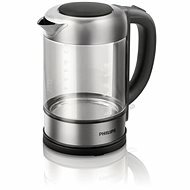 Visible - heats up water faster, but also builds up limescale. Requires special descalers and regular cleaning. 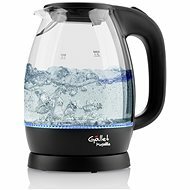 Filter - captures mineral deposits, limescale and various impurities when pouring boiled water. There are fixed and removable filters. Removable filters are easy to wash.
Watermark - lets you check the water levels. 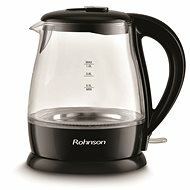 Some kettles have multiple watermarks or are double-sided for extra convenience. Swivel base - greatly increases user comfort. 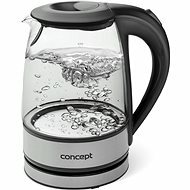 The 360° connector makes kettle easier to handle. 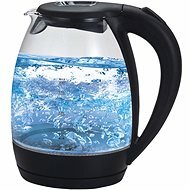 Water temperature control - useful if you want to serve premium teas and coffees. 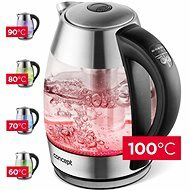 As a rule, you can choose from a temperature range of 70-100 °C. 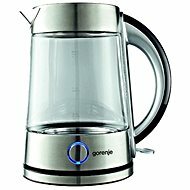 Anti-Drip system - was developed to enable easier pouring without spillage or leaking. 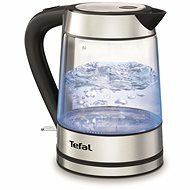 Dry boil prevention - protects the device from damage. 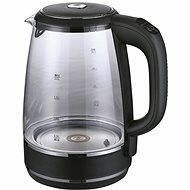 The kettle shuts off automatically when empty.